Cleaning the stone tiles is easy due to their waterproof and durable nature. This is one of the most popular choices of flooring for many. However, it is very easy to clean and it maintains it shininess for long if it is maintained well. Clean the stone tiles on a regular basis to maintain its shine and keep it in a good condition. You can use mop, sponge or clean towel for the purpose of routine cleaning. Use detergent liquid, salt, ammonia and warm water to clean the tiles. Immediately clean the spot stains if something spills on the tile. 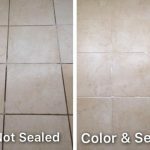 Depending on the type of spills, use the correct product to clean the tile. For initial cleaning, just start with sweeping the tile using the dust mop or by using the broom to eliminate the dust and other small particles settled on the tile. Now do mopping with water and pH- neutral soap or by using any detergent liquid, this will easily take away the stains from the tile. After mopping take a dry towel and wipe the tile properly to avoid water spots. Just pour some salt on the tile to make them shine, gently rub the salt on the tile using the wet cloth and clean it with a dry towel. Sweeping- as like vacuuming sweeping is also very important while cleaning the stone tile. In this process, it will completely remove the minute particles such as sand, dust, and hairs. Use any type of broom to sweep the floor but the dust mop is the best tool to sweep as the cleaning process is very easy and faster. Don’t drag the furniture just lift it up and move it somewhere before cleaning the tile. 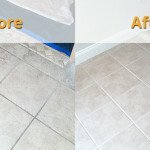 One of the easy methods to clean the tile is with mop and dish soap. Do not use any strong chemicals or acidic cleaners as it will damage and take away the color of the tile. Now, mix the cleaner with water use mop and gently do mop the tile. After mopping rinse the floor using clean water and make sure that detergent is not left on the floor. After rinsing with water, take a dry towel and wipe the floor properly, don’t leave it as it is because air drying will cause water spots on the floor. Finally to add shine to the floor, use 4 to 5 tablespoon of salt and rub it on the tile using soft and clean wet cloth. You can even use the self-shining wax to rub the tile cleaning. If you are using wax do not use more than the requirement as it turns the tile yellow. If you tile is in black color use black shoe polish to shine the tile. Apart from all, just clean the tile immediately when something spills on it. 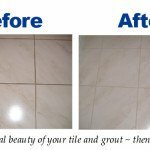 Frequently clean the tile keep it clean and shine always.